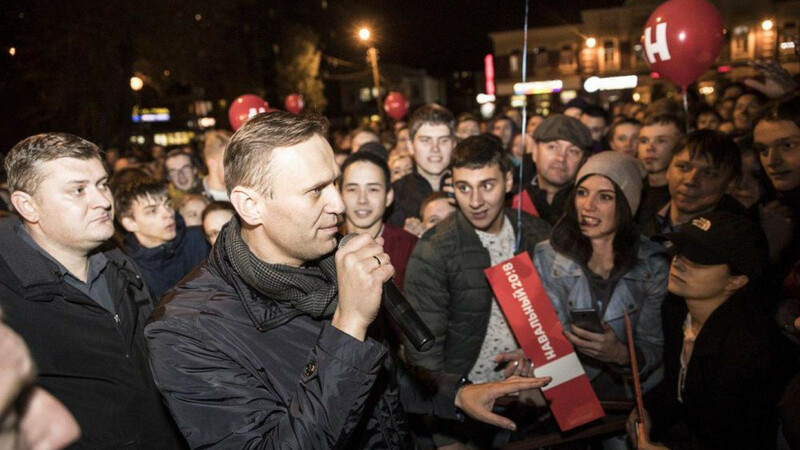 With the presidential elections exactly five months away, Russia’s Central Elections Commission has made its position clear: opposition activist Alexei Navalny will be out of the running. 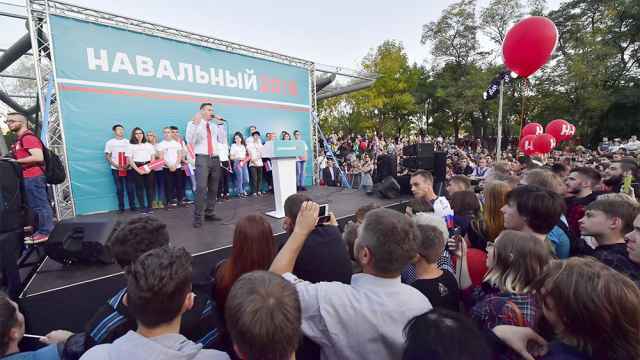 Although Navalny has announced his candidacy and is actively campaigning across Russia, his criminal record in a case widely seen as politically motivated bars him from public office. “He can run for president after a 10-year period plus five months — somewhere in 2028,” commission chairwoman Ella Pamfilova was cited as saying by the Interfax news agency Tuesday. The New Times outlet quoted sources as saying on Wednesday that journalist and socialite Ksenia Sobchak will run in Navalny's place as a Kremlin-backed spoiler candidate, in exchange for access to state-controlled television. Asked about Navalny’s candidacy on Wednesday, Kremlin spokesman Dmitry Peskov said the commission chief’s words leave “nothing to discuss” in the matter. “There’s simply no topic,” he told reporters. — At a G20 press conference in Germany last July, President Vladimir Putin devoted all of 20 seconds to a reporter’s question on why he never mentions Navalny by — as you guessed — not mentioning him by name. — Later that month during a question and answer session with children, Putin hinted at Navalny’s corruption investigations, saying “you shouldn't speculate on the problem of corruption,” and then changing the topic to Ukraine. When asked to comment on “certain political figures” by a participant, Putin said he is only interested in opposition figures “who offer interesting and brave solutions." As far as we can tell, you would have to go back at least four years to find the last time Putin or Peskov mentioned Navalny’s name in public. 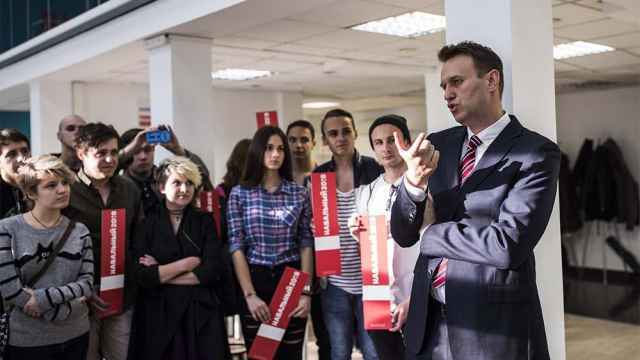 "In a demonstration of Navalny's growing visibility, news that President Putin had finally spoken the anti-corruption lawyer's name, something Putin has consistently avoided doing in public, became the top headline at one point Friday on the home page of search engine Yandex,” The Moscow Times reported in 2013. Putin allegedly said it in a conversation with an American journalist at a cocktail party. "I asked Putin if he deliberately doesn't say Navalny's name. Answer: 'No, why? 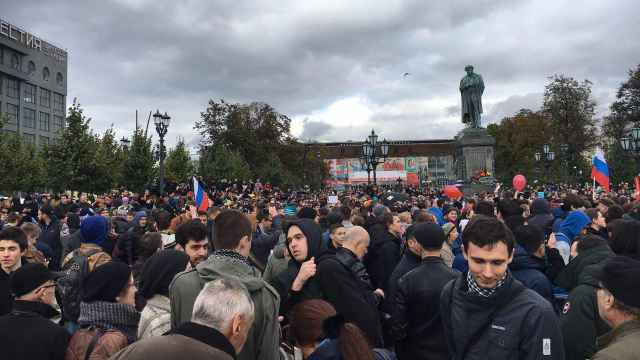 Alexei Navalny is one of the leaders of the opposition movement,'" wrote Alec Luhn, a journalist then writing for The Nation magazine.